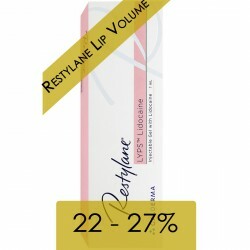 Restylane® Kysse Lidocaine (1x1ml) - Aesthetic Pharma Sp. z o.o. Buy 3 packs 27% discount. Restylane® Kysse (Emervel® Lips) is specifically formulated to enhance, define or augment the lip body and border. A treatment with Emervel Lips can be used regardless of whether a subtle lip enhancement or a noticeable lip augmentation is desired. 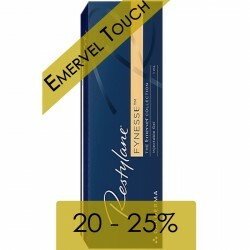 Emervel Lips has been specially developed for the treatment of sensitive lips. The hyaluronic acid-based gel softly integrates into the sensitive lip tissue and has been proven to cause little swelling. The naturally occurring deposits of hyaluronic acid in the skin decrease with age. Lips lose their tone and fullness and fine lines may develop around the mouth. Small quantities of Restylane® Kysse compensate for the hyaluronic acid loss. Lips appear revitalised and plumper as wrinkles are gently filled out. optimised lip contour - improve lip contour. needles: 2 x 30G 1/2 "ultra thin wall"